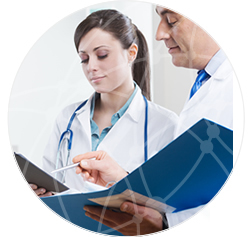 Mobiliza Consulting has extensive experience and highly qualified personnel available , allowing you to cover any project related to clinical research. We provide a personalized service based on customer needs and project, taking full flexibility. So we can work together or separately with the client’s employees thereby creating independent project team or fully integrated. Training of personnel involved in the trial. Mobiliza Consulting performs functions of Technical Secretary for the management and coordination, revision, layout and publication of medical and scientific manuals. The Medical Science Liaison is one of the figures in recent years has been incorporated into most medical departments in the pharmaceutical industry. In this section, our functions are focused on scientific diffusion of a product or pathology, with abstracts and/or translations of medical and clinical trials, meetings, seminars and clinical sessions. 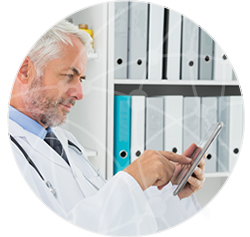 We manage administrative authorizations for the Competent Authority AEMPS (Spanish Agency for Medicines and Health Products) and the CEIC (Clinical Research Ethics Committees). Drug research is subject to a comprehensive regulation in the European Union. 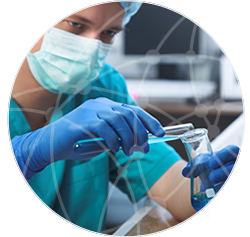 Institutions and researchers and developers who wish to conduct clinical and biomedical research should know: scientific, technical, regulatory, administrative, ethical, methodological and practical aspects. They must be seen both before, during and at the end of the trial. Mobiliza manages with customers all necessary documentation. Preparation of all necessary to obtain the assent of the CEIC (Clinical Research Ethics Committees) and the authorization of the AEMPS (Spanish Agency for Medicines and Health Products) documentation. While the test tracks the same will take place, using the most appropriate technological tools depending on the type of clinical trial orstudy. As indicated in Article 27 ( RD 223/2004 ), after the completion of the clinical trial we must notify the competent authority and ethics committees involved the completion. Mobiliza will handle all these procedures.